Plump and firm skin through increased hydration with this advanced hyaluronic acid formulation. This smoothing blend provides deep, long-lasting hydration on three levels: on the surface, deeper in the skin and by increasing the skin’s own hyaluronic acid production. For anyone interested in age prevention, this is the ideal product for you! 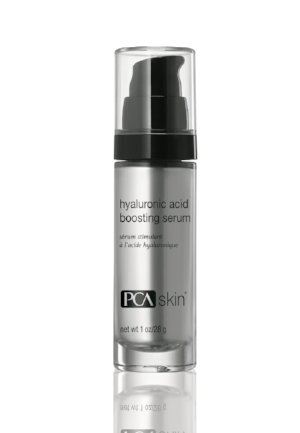 Come in and learn if the new Hyaluronic Acid Boosting Serum is perfect for you!